Regardless of where you live, the weather is just too unpredictable to risk not having a tent. Even if you live in Southern California and are getting married in a time when it never rains, you never know when that freak storm's going to hit. 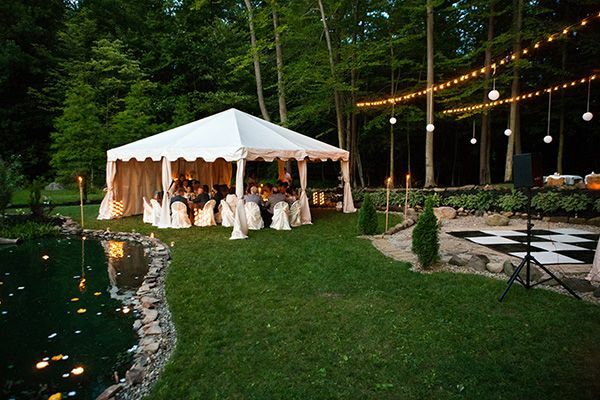 You'd hate to be unprepared if it chooses your wedding day so the first backyard wedding idea is to invest in the purchase or rental of a tent large enough to cover your wedding party in an emergency and to provide shade for your wedding guests. Likewise, use the folding table for something else. A wedding cake needs a sturdy table that won't wobble when a guest bumps into it. 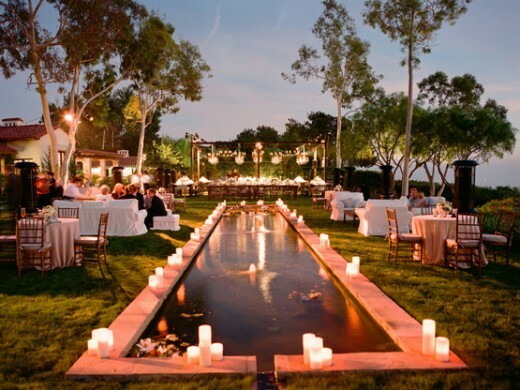 For so many reasons, but primarily because of the inherent unpredictability of animals your next backyard wedding idea is to control the movements of your pets. Perhaps this means putting them in a kennel for your wedding day. Maybe it simply means having them on a leash. It's better than having Fido lovingly push grandma into the middle of the spread your caterers put out for your reception. 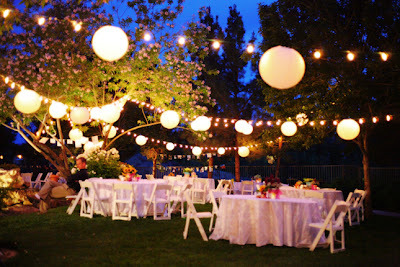 Remember, backyard wedding ideas don't lock you into a floral themed (or cactus themed) wedding. I heard recently of a couple who found an outdoor location to create a Lord of the Rings themed wedding. That might be a bit much for most of us, but it proves that your options are limited only to your imagination, budget, and nerve. Dream. 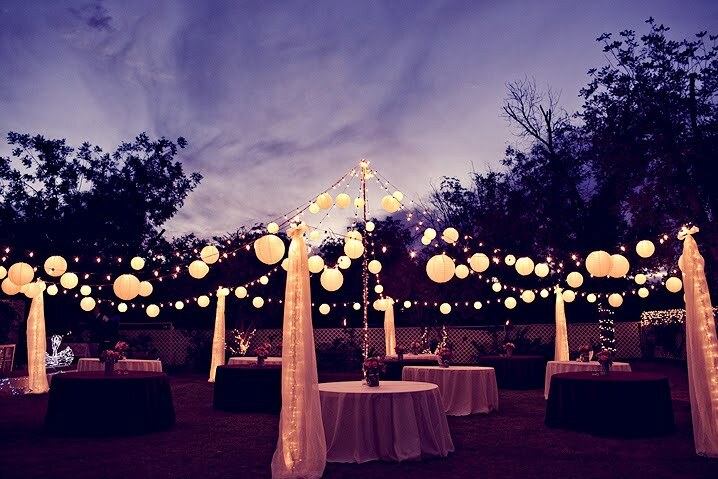 You're backyard wedding ideas might create something people will talk about for years.